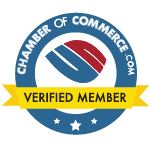 Omni Metalcraft Corp. is the champion at providing “Custom Conveyor Systems and Custom-Engineered Conveyor Solutions” when no one else can. Omni Metalcraft has been providing high-quality, reliable, custom equipment for over 30 years. When the typical, off-the-shelf, standard product does not meet your needs, our years of industry-wide experience can design the right equipment that will get the job done. 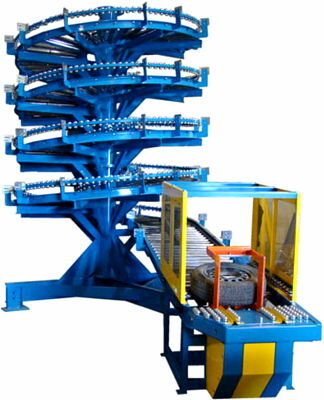 Examples: Custom conveyor systems designed for manufacturers. A manufacturer needed a custom conveyor system to replace an existing silo. Their goal was to increase production, buffer storage capacity, and accommodate a new tire size. Need: Bring products from second level system to floor level for assembly or distribution. Solution: Omni Metalcraft designed this custom conveyor systems Gravity Roller Silo with Flowrail Guides to transport tires to a lower level. Products are fed into the spiral curve silo where they are stored until it is released to a Ball Transfer Workstation. Then a pneumatic tipper presented the product to an operator for assembly or distribution. See PDF file for more information. Need: A manufacturer needed to feed a steel bar from a saw, then picked up by an automated gantry crane. The conveyor had to continue feeding the steel bar to a deck until the gantry cleared the area. 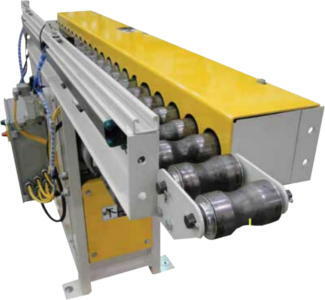 Solution: Omni Metalcraft Corp. designed a narrow width Chain Driven Live Roller Conveyor with steel concave rollers. It had a four arm lift device and stops at each end. The first stop activated the bar for lifting. The lift stage is picked up by the gantry. The second stop activated and held the next part in the “deck” area. 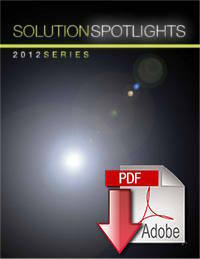 See PDF file for more information. 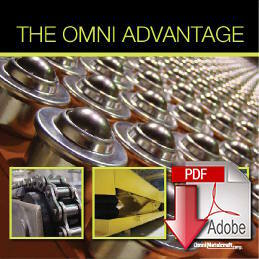 Watch an Introduction to Omni Metalcraft’s Gravity Conveyor, Rollers, and Scissor Lifts. 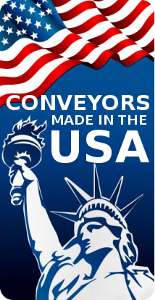 To learn more about our products call (866) 403-5232 (toll free) and speak to a conveyor expert. From Custom Gravity and CDLR Conveyors to Vertical Lifts or Bundle Rotators, An Omni-Metalcraft Conveyor can be adapted to fit your needs. Contact any of our experienced and knowledgeable engineers to assess your current needs and provide solutions that will improve your performance and productivity. Complete and Submit the form below to speak with an ACG Conveyors sales representative or schedule your “No Obligation” in-plant consultation.